MOSCOW, Russia -- Ukraine's fugitive former president Viktor Yanukovych lodged a claim with the European Court of Human Rights on Monday for unfair treatment by Kiev's Western-backed government. Yanukovych's ouster and flight for safety to Russia in February 2014 set of a tragic chain of events that included Moscow's annexation of Crimea and the pro-Kremlin revolt in the separatist east in which at least 8,000 have died. The Strasbourg-based court confirmed receiving the claim but gave no indication of when -- or if -- his appeal will be examined in closer detail. Yanukovych sparked three months protests over winter 2013-2014 with his shock decision to reject a landmark EU cooperation agreement and boost Ukraine's dependence on Russia. In August, a Kiev court began trying the 65-year-old in absentia for his alleged role in the final three days of rallies in which more than 100 people died -- most of them slain by government snipers and police. 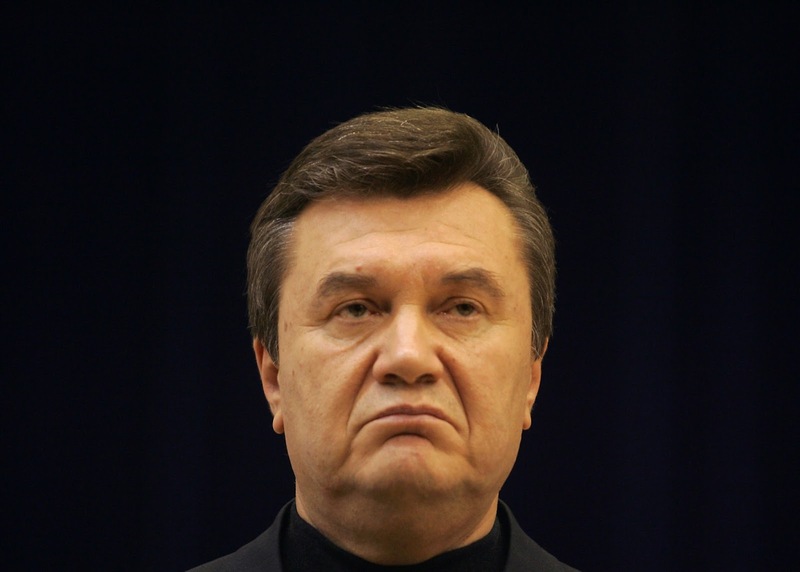 Yanukovych insists he never ordered his security forces to open fire on civilians. But he also refuses to attend the trial and lives under heavy Russian government protection in a remote part of the vast country's southwest. His law firm said Yanukovych's "rights to an independent and impartial tribunal, to a fair hearing and to reasoned judgements have been breached." "Yanukovych has suffered discriminatory treatment due to his political status and opinions," litigation firm Joseph Hage Aaronson said. His case was filed just days before local elections in Kiev-controlled parts of the former Soviet state. He is viewed as a traitorous villan by many nationalist and pro-European voters who live in western and central agrarian parts of Ukraine. But candidates representing President Petro Poroshenko are likely to perform less strongly in Russian-speaking regions that straddle Ukraine's decimated war zone. Poroshenko holds a slim majority in parliament thanks to a coalition government built with the party of Prime Minister Arseniy Yatsenyuk -- seen as the head of Kiev's "war camp" by Moscow -- and smaller groups. But Yatsenyuk's approval ratings have dropped so dramatically since last October's election that his party has decided not to field any candidates in the regional polls. Yanukovych's corrupt and lavish lifestyle turned him into a widely hated figure in the final months of his four-year rule. His party ousted him from its ranks following his ouster and then re-branded itself under a different name. But he still carries some favour in the industrial parts of the southeast that are not under rebel control and will take part in Sunday's polls. His European claim received top billing on Russian state news channels that are still widely availabile across parts of eastern Ukraine.